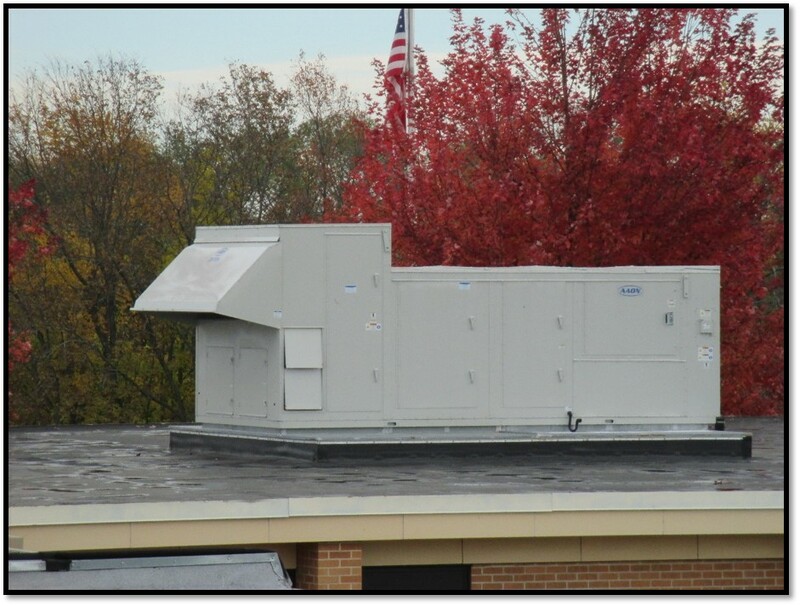 Guaranteed Energy Savings contracts offer public owners an innovative option for financing capital improvements. 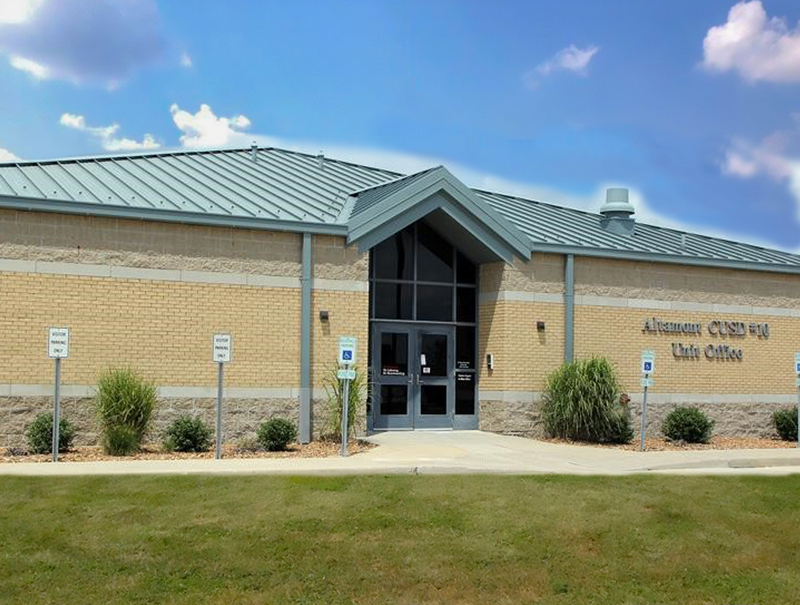 State legislation has enabled schools, universities, municipalities, and other public owners to address deferred maintenance issues, provide needed renovations and improve the quality of the environment in a proven, flexible and cost effective way. 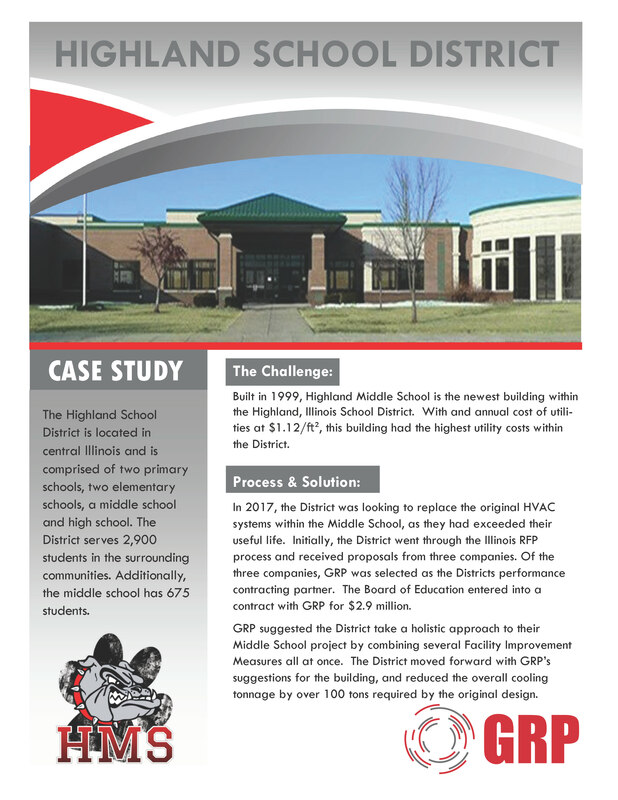 The energy savings, operational savings, and capital costs avoidance savings generated by the building improvements are used to help offset the initial costs. GRP even guarantees the savings. GRP is a proven provider, serving its customers for more than 65 years. 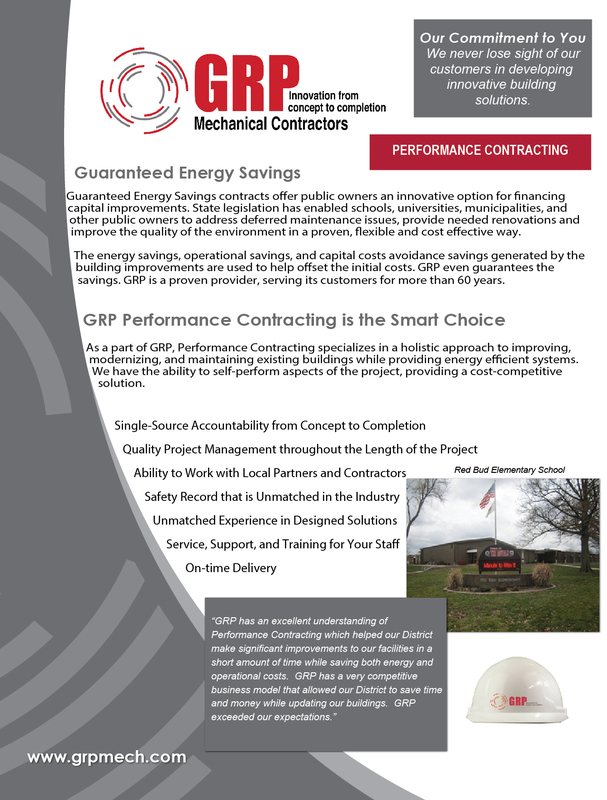 As a part of GRP, Performance Contracting specializes in a holistic approach to improving, modernizing, and maintaining existing buildings while providing energy efficient systems. We have the ability to self-perform aspects of the project, providing a cost-competitive solution. Providing long-term benefits for every student, staff and community member.